Your graduation will be a day that sticks in your memory indefinitely, being a time for you to celebrate your wonderful achievements. And rightly so! Being a huge accolade, having a degree sets you up for a great career, with the ceremony marking new beginnings and mapping the way for the adventures to come. This is why many of our customers here at Limo Broker decide to hire chauffeur cars to get to and from their ceremony, wanting to mark this fabulous event with a just-as-fabulous car. If this is something you are considering for your big day, below we give you a few suggestions, helping you decide which car will best suit your graduation celebrations. Nothing beats the luxury of a limousine, being easy on the eye and offering the most comfortable of travel experiences. Here at Limo Broker, we have found limousines like the Lincoln Towncar Limousine and the Audi Q7 Limousine to make for the perfect graduation cars, able to fit up to 8 passengers in at once. Giving you the option to travel alongside classmates or your friends and family, limos are perfect for larger parties looking to travel together. The Rolls Royce Phantom is an iconic chauffeur car that is unparalleled when it comes to class. Coming in various colours, the Phantom can make any type of trip unforgettable. At Limo Broker, we boast a large network full of Rolls Royces, many of which have been utilised for upmarket graduation celebrations across the UK. Fancy something more modern? If so, you should certainly consider the Range Rover Sport; an SUV that is comfortable, colossal in size and known for its luxurious interior. What better qualities could you possibly ask for from your graduation car? Super car hire is becoming increasingly popular for proms and graduations. 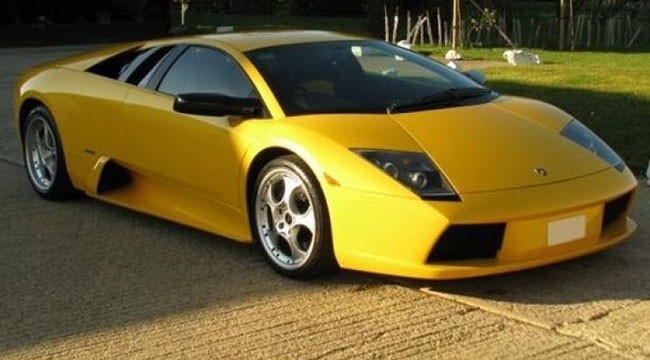 Able to grab the attention of all, arriving at your graduation in a Lambo will ensure you leave a lasting impression on classmates and lecturers. If you like the idea of hiring any of the above cars for your graduation, or any other vehicle you have seen on our site, contact us today. When planning your wedding, you will want to ensure your big day is remembered for the right reasons, standing out when compared to traditional celebrations. One way in which brides and grooms are ensuring they stand out is through the use of transport, opting for alternative modes of travel as opposed to your conventional chauffeur car. Go back 100 years and most high-end weddings would incorporate horse and carriage travel. Usually reserved for the bride and groom, there really is nothing more lavish that making your entrance in this way. Giving off fairytale vibes, it is completely understandable why more and more couples are exploring the idea of horse and carriage hire when planning their wedding days. When attending a wedding, we all expect the bride and groom to blow us away with their entrances, usually arriving in white limousines, sleek Rolls Royces and the likes. But, if you want to really wow on your wedding day, supercar hire is the way to do it. From their loud engines to their bold designs and colours, nothing shouts extravagance more than a supercar. Looking to completely blow your guests’ socks off? If so, you won’t go far wrong with a party bus; a vehicle that is basically a nightclub on wheels. Fitted with karaoke machines, dance floors, champagne fridges and disco lighting as standard, hiring a party bus for your wedding is well and truly ripping up the rulebook. Whether you like the idea of attending your wedding in a limo, sleek chauffeur car or something a little more ‘out there’, we at Limo Broker would be more than happy to help you find the perfect solution. Contact us today for more details on what we can offer you and your partner. Mother’s Day is just around the corner. And, while we do not need an excuse to show the most important person in our lives how much they mean to us, Mother’s Day ensures we show our appreciation. Here at Limo Broker, we are over the moon to see so many generous sons and daughters treating their Mums to the ultimate gift; limo hire. Allowing Mum to feel like royalty, there really is no gift more suitable for your Queen. When shopping for limo hire solutions with us, you will uncover a vast selection of models. Deriving from different parts of the world and different ages, the world really is your oyster when on LimoBroker.Co.Uk. But, having so much to choose from can be daunting. This is why below we have listed our top three limos you should definitely consider for your Mother’s Day antics. Lincoln Towncar Limousine – with 8 seats, centre-facing seats and champagne fridges, the Lincoln Towncar is a conventional limousine with all the bells and whistles. Being comfortable, spacious and able to grab the attention of all, it is understandable why this limo is one of the most commonly hired in the UK. 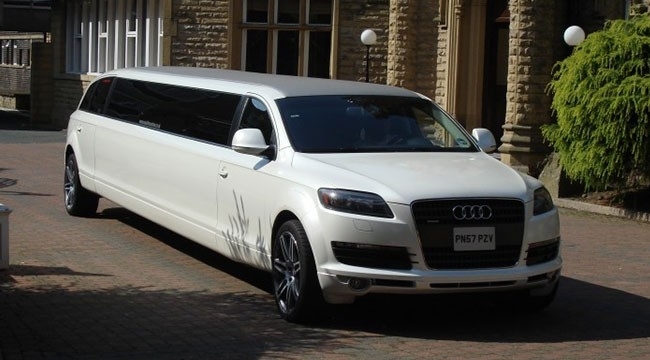 Audi Q7 limousine – Being a stretched version of the popular SUV, the Audi Q7 Limo is large in size and incredibly glamourous. Coming in a variety of colours, this customised vehicle will be sure to go down a treat this Mothering Sunday. Party Bus – Does your Mum like to party? If so, then nothing will impress her more than hiring her a party bus for her and her mates. With many coming with karaoke machines, disco lighting and larger-than-life music systems, these vehicles are, like Mum, one of a kind. If you like the idea of hiring a limo for your Mum this Mother’s Day then we at Limo Broker would be more than happy to help. With the largest network of limos available in the UK, we will be sure to have access to a limo that perfectly suits your Mum’s taste as well as your budget. Now, it is not uncommon for sports stars to show off their wealth. From those annoying images of Starbucks coffee cups with expensive watches in the background to eye-wateringly expensive designer clothes, the stars of today are far from humble. This week, Daniel Sturridge of Liverpool FC joins the braggers club, sharing pictures of his pretty-impressive array of cars. While struggling to get off the bench for Liverpool in recent weeks, he will no doubt be enjoying the ride home; whatever the result. This is because he boasts a car collection worth a staggering £600,000! Comprising of some of some of the world’s most luxurious brands and models, we take a look at what this Liverpool forward has locked away in the garage. Rolls Royce Wraith – If you are a car enthusiast, you will be impressed by Sturridge’s recent car purchase; an all-new Rolls Royce Wraith. Said to be his pride and joy, the sportsman also splashed out on a Senturion Key bracelet to match, ridding of the inconvenience of having to carry a car key. Costing £34,000, it appears money really is no issue! Ferrari 458 – Adorned in glossy white paint, the footballer’s Ferrari 458 is another stand-out addition to the collection. Setting him back £170,000, this car can get to 62mph in a mere 3.4 seconds. Range Rover Evoque – Copying his teammate, Mane, Sturridge also enjoys being the owner of a Ronge Rover Evoque. Being a car synonymous with comfort, can you think of a car more suitable to get home in after a tough training session? As a fleet that is always growing, we look forward to seeing more additions added to this already-fine collection! If you like the idea of travelling like a famous footballer, then be sure to explore our Rolls Royce, Ferrari and Range Rover hire deals today! While hiring a chauffeur-driven limousine or luxury supercar to get from A to B is great, nothing quite beats the feeling of getting behind the wheel of a good-looking, high-performing vehicle. This is why in recent years we have extended our offering of self-drive cars; vehicles that can be driven by you! So, if you are heading out for a romantic weekend, want to drive your friend to their wedding or just want to treat yourself to a self-drive experience, below are the best cars to consider this summer (in our opinion). Is there a vehicle better looking than the Lamborghini Aventador? We think not! Being the epitome of modern luxury travel, the Aventador is widely recognised as a beautiful, ferocious supercar. With dynamic lines and a unique exterior design, the car is also renowned for catching the eye of everyone in which it passes. That, paired with its immense power arguably makes it one of the world’s most desirable vehicles to drive. Looking for something as little more refined to hire this summer? If that’s the case, you should look into renting a Bentley Continental. With drophead options coming in a rainbow of colours, such cars can make even the most mundane of drives a true delight. Colossal in size and full of plush leather, the Range Rover Sport is an iconic SUV that is famed for its comfort. Taking on the bumps and lumps of the British roads with ease, it is also a joy to drive. If you wish to explore your options when it comes to self-drive car hire, visit our gallery. Alternatively, search, compare and book your vehicles through our sleek online booking system. Taking just 60 seconds of your time, you could be a mere minute away from booking that dream car hire experience.